Chinese state-run media backed “mutually beneficial cooperation” to continue under Solih. President-elect Ibrahim Mohamed Solih has been invited to make a state visit to China once he is sworn into office on November 17. 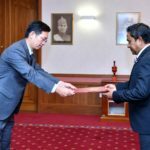 The invitation was extended by Chinese ambassador Zhang Lizhong during a courtesy call on Saturday. 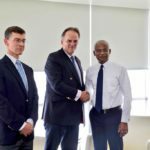 The pair “discussed how China can continue to assist the Maldives with its development, in particular in housing, water and sewerage, and tourism,” according to Solih’s office. 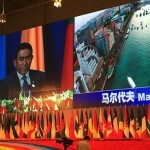 President Abdulla Yameen’s heavy defeat in the September 23 election was widely reported as a blow for China, which financed his administration’s flagship infrastructure projects with loans in excess of a billion dollars, drawing accusations of a debt trap from the main opposition party’s leader. During the campaign, the joint opposition candidate pledged to review contracts but assured the public that ongoing projects would not be scrapped. 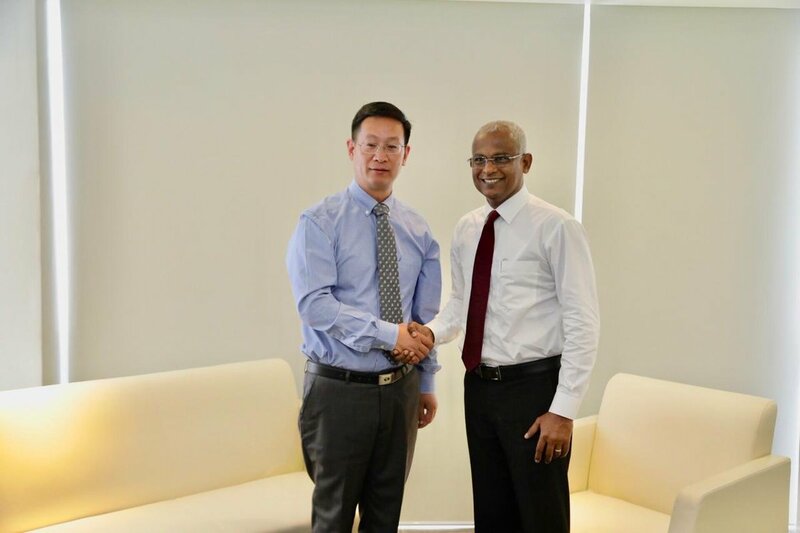 The Chinese state-run Global Times, which is said to reflect the views of party leaders, backed “mutually beneficial cooperation” to continue under Solih. 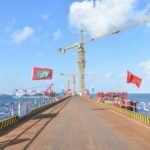 An unnamed official from the outgoing Yameen administration predicted that “Solih will not refuse trade or investment from China” despite a diplomatic adjustment in favour of traditional ally India. A senior official of the China-Maldives cultural association also expected support for Chinese investment. 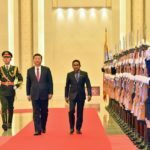 “It is worth mentioning that cooperation projects between China and the Maldives are made in infrastructure construction and tourism, and China and India do not compete with each other in these two sectors,” Long Xingchun, an associate professor of China’s West Normal University, was quoted as saying. 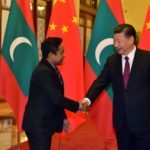 According to Xingchuan, Beijing has come up with a constructive “two-plus-one” mechanism for rivals China and India to work together in the Maldives. An op-ed on the South China Morning Post suggested “there will be no ditching, only diplomatic rebalancing” as the benefits of Chinese investment outweighed concerns over debt.